What's on Netflix > Netflix News > When will ‘Dynasties’ be on Netflix? When will ‘Dynasties’ be on Netflix? Nature documentaries from the BBC never fail to disappoint. Especially those that have been narrated by David Attenborough. 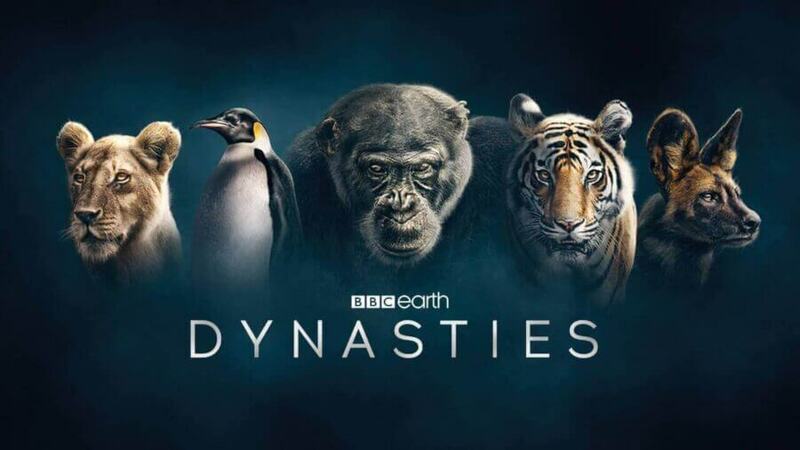 At the time of writing, Dynasties is still airing on the BBC in the UK but the question is when will Dynasties be arriving on Netflix? Over the years the BBC Natural History Unit has produced some phenomenal documentaries. With titles like Planet Blue, Blue Planet I & II, and Hidden Kingdoms the team behind the camera have never failed to impress. Not to mention the team behind Planet Earth is producing the upcoming Netflix Original Our Planet which will also be narrated by David Attenborough. Instead of focusing on regions or ecosystems of the world Dynasties’ focus is centered around 5 specific animals. All of the species in the documentary are endangered and at a very high risk of extinction. Even though extinction looms over them all, the animals have formed enduring populations. Narrated by the wonderful voice of David Attenborough this series will astound you with amazing visuals and fill you to the brim as we follow the animals surviving this harsh world. Fans in America will be happy to hear that the documentary will be arriving on BBC America in early 2019. We also expect it to arrive on Netflix. Typically, however, there’s quite a long wait. Blue Planet II, for example, took a year to come out to Netflix in the United States as did Planet Earth 2. We believe Dynasties will also come to Netflix but probably won’t be until late 2019. Will it be available on Netflix UK? It won’t be arriving on Netflix UK for a long time as the BBC will have the exclusive right to stream through their service BBC iPlayer. As for when it arrives on Netflix is uncertain at this moment in time. If we go by the previous release of Blue Planet II, then we could potentially see Dynasties arrive in the Spring of 2019! Our Planet is set to release on April 5th, 2019, so this could conflict with a Spring release date. Once we have confirmation on the release date, we’ll make sure to let everyone know. Are you looking forward to Dynasties coming to Netflix? Let us know in the comments below!